There is a surprisingly large number of UX-related events around the world. So many, in fact, it can be confusing to narrow down which ones are done yearly, or take place in more than one location – and most importantly, which ones are within your budget. Fear not! 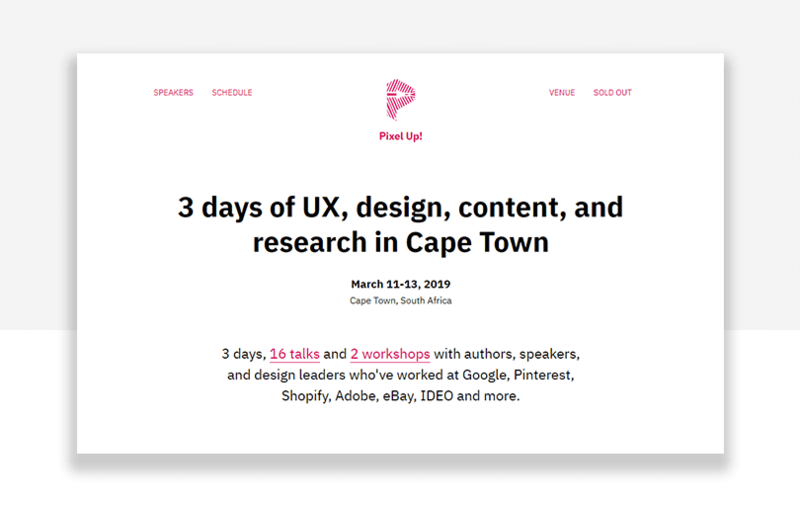 We sifted through countless events and have narrowed down the best UX conferences in North America, Europe, Asia, Oceania, Africa and Latin America. You’re bound to find the one you’ll be annoying your boss about! 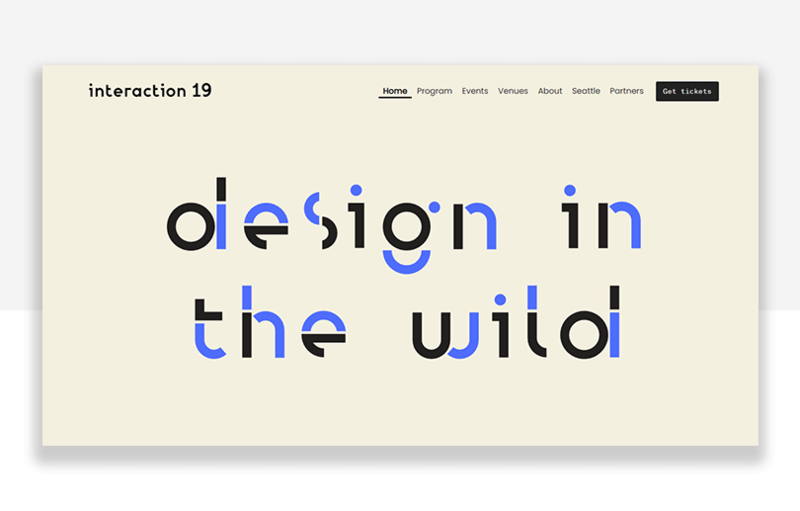 Interaction 19 spreads over a whole week and is brought to the world by IxDA. Attendees first enjoy 2 days of an education summit, which focuses on how to pass on design-related knowledge. The last 3 days are dedicated to the main event: the user experience conference. You can expect to see and hear several inspiring speakers such as Ayse Birsel and Liz Jackson, all leaders of the industry in their own right. Regardless of whether you prefer to listen or get your hands dirty and learn by doing – Interaction 19 will have something for you. We have also heard that their closing party is not something you want to miss! Check out their full program here. Price: $1500 for the full ride. Find other options here. X4 is on top of the UX conference game. You can expect speakers we all know. Legends such as Oprah Winfrey, President Barack Obama and Sir Richard Branson are only a few of the key speakers who participate in 2019. The full list of speakers includes public figures, top managers at companies like New Balance, Spotify and Coca Cola – aside from professors from top universities such as Stanford. The UX conference touches on several topics that are crucial for UX design, such as brand experience and product experience. Our favorite sessions, however, tend to focus on UX research. A juicy example is “Spot tasty trends in your data: how Buzzfeed turns insights into profitable investments”. Sounds like the kind of session that would render awesome results when applied to your own UX design projects, right? The fact that it’s Ashmeed Ali, head of Market & Brand Research at Buzzfeed only makes it better. Price: $1500 full ride. Find other options on the official website. This UX/UI conference is filled with both workshops and seminars which means there’s something for everyone. Topics approached in 2019 include rapid research, sprint planning, user journeys and innovation labs – topics change and evolve with each year. 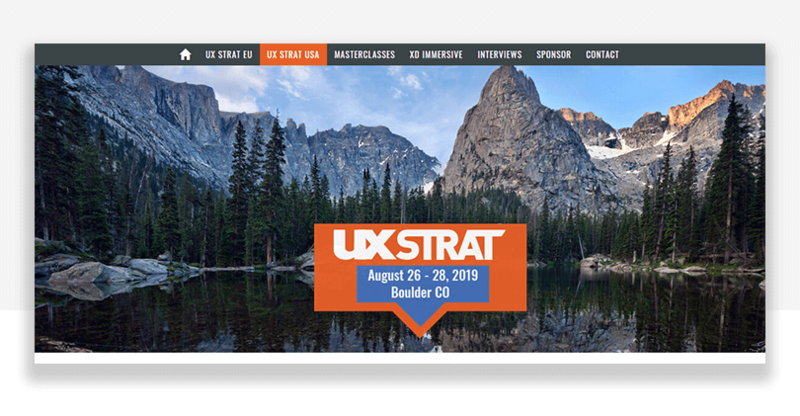 All sessions in UX STRAT are delivered by top dogs in the UX game from companies like Google, Amazon, Youtube, Facebook and IBM. 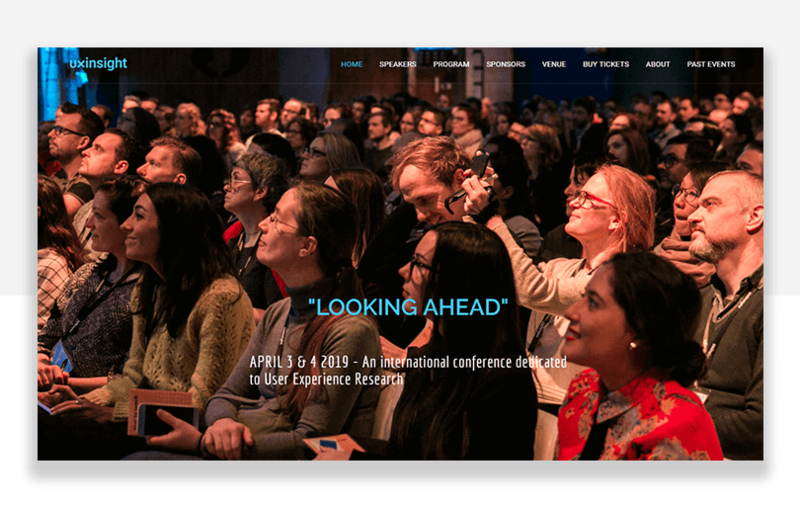 The same organizers also bring this conference to Europe, holding the UX conference in Amsterdam – which tends to take place in June. Each UI/UX conference comes with several courses that tend to last for a whole day, and aim to get the attendee to a position of deep understanding of the course topic. Topics vary from Agile management, navigation design to user testing and social media. You can find a complete list of the courses available here. 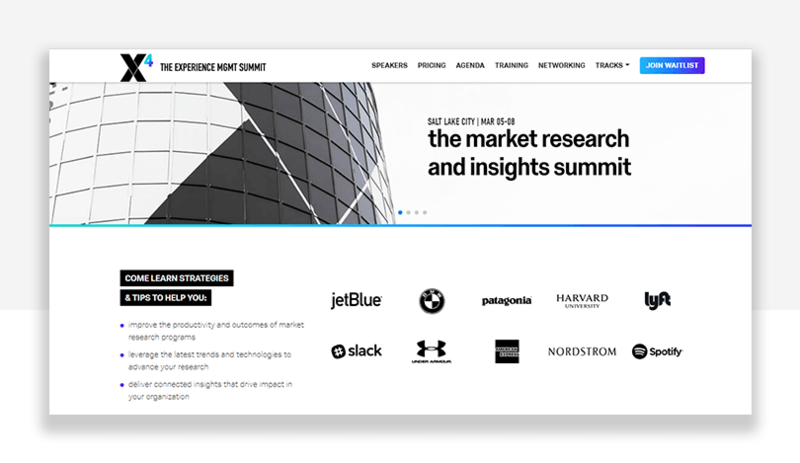 You can also check out the schedule and program of the 2019 LA conference, to have an idea of what these user experience conferences feel and look like. 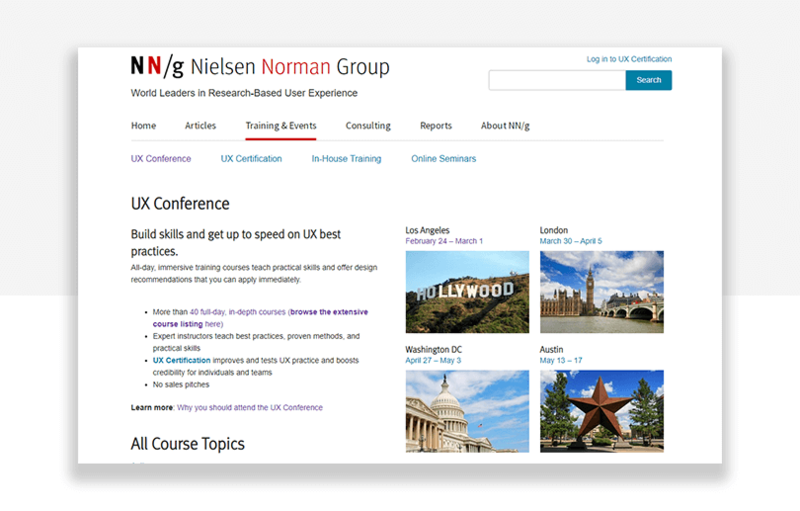 These UX conferences from the Nielsen Group take place in several cities throughout the year, with 3 of them being in the United States: Los Angeles (at the end of February), Washington DC (end of April) and Austin (middle of March). The user experience conferences outside the US include London (end of March) and Singapore (in July). UX Week has been around for 16 years, and it’s one of the most sought after UX events of the year. Key speakers come from tech giants such as Slack, Shopify, IBM and Google. You can also expect to see plenty of academics, from institutions including the University of Florida and Stanford. Aside from hearing from the leaders of the sector, you’ll also have plenty of hands-on experiences available. In the 4-day UI/UX conference, UX Week brings you plenty of workshops on topics ranging from inclusive service design to team collaboration and communication. Most UX designers are painfully aware of how information architecture is both crucial and difficult. Especially in designs that need to account for tricky variables, such as extending content, or with the need to properly categorize large amounts of information – IA ain’t no walk in the park. 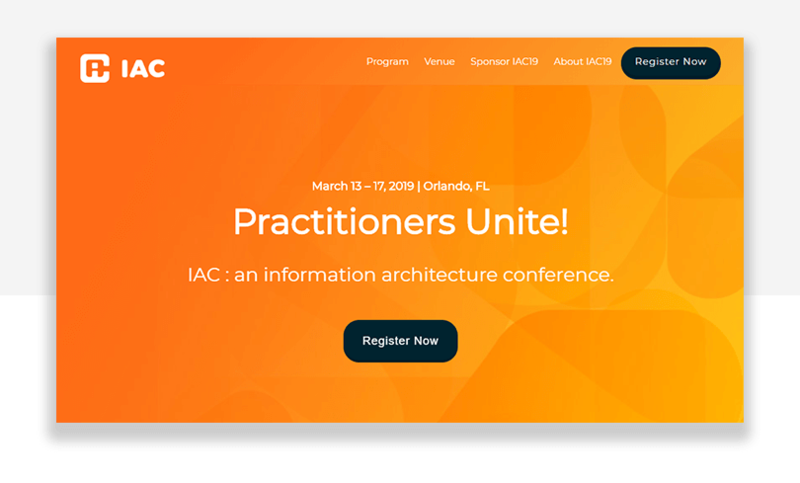 So, an information architecture conference is a perfect opportunity to pick up a few tricks and get to know exactly how you can make sense of your information. That’s exactly what the people behind IAC thought, and every year they gather a few leaders in IA for designers from all over to learn from. Topics include everything IA-related, from search experiences to designing for neurodiversity. Check out their full schedule here. Even if you take pride in your IA skills, you’re bound to learn a thing or two! Price: $800 early bird tickets. Find more options here. This UX conference brings its attendees 3 days rich in information. Taking place in several cities across the United States at different times of the year, the event focuses on topics related to web design, coding and content creation. Interaction design is king here! An Event Apart welcomes speakers from different backgrounds from big players in the tech industry such as Adobe or Airbnb. Check out the schedule for the 2019 Boston UI/UX conference to get an idea of what a day in the event would look like. Price: $1600 for full-ride. Find more available options here. Start prototyping websites for free with Justinmind. This UX conference takes place on an island in sunny Florida, and seems like a perfect opportunity for quality networking and participating in relevant debates of the UX industry. The event does not take place every year, but rather every two years – it has been around for over 25 years though! The main organizers of Group 2020 include scholars from universities from all around the globe, including University of Colorado, IT University of Copenhagen, the Vienna University of Technology and the University of Missouri. A few organizers also come from a corporate background, with employees coming from companies such as IBM and Microsoft. Price: $700 for UI/UX conference. Find more available options here. Brought to you by Awwwards, this UX conference is one of the most anticipated events of the year for UX designers. 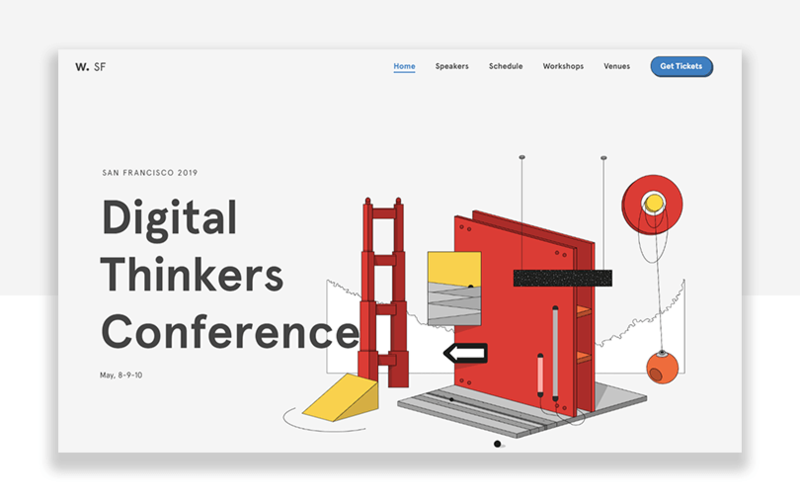 The Digital Thinkers Conference is filled with keynote speakers that undeniably have a lot to teach designers – you can expect big names like Dribbble, Google, Airbnb, Dropbox, Twitter and Facebook. Topics covered in talks include issues such as large-scale project collaboration, UX research, or finding your product’s voice. On the practical side, attendees can enjoy a a few hands-on workshops for an extra fee. 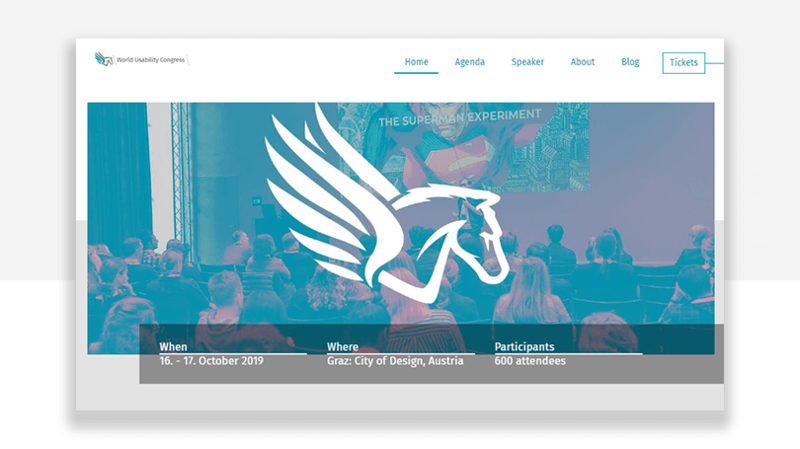 Our favorite workshop of the 2019 edition is the constructive review of attendees’ portfolio by independent designer Claudio Guglieri (a UX design authority in his own right) – freelance designers everywhere, rejoice! Price: $775 for full-ride. More options on the official website. 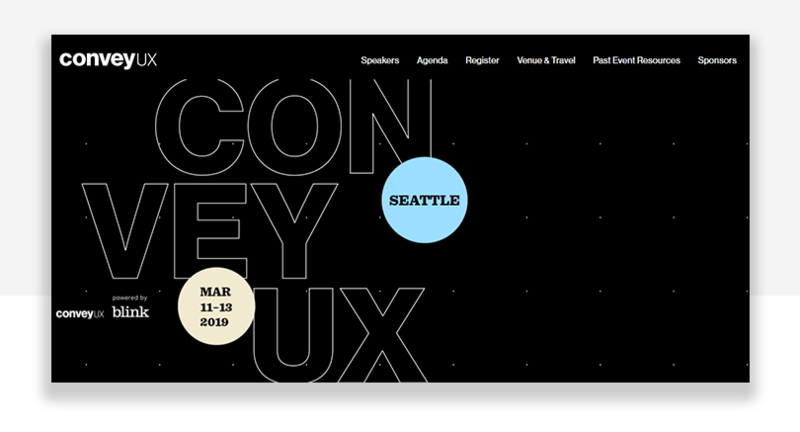 Another big UX conference in Seattle. Convey UX is right at the top of the main UX events in the United States along with UX week or the Experience Summit. The event tends to gather key seasoned professionals with novices and always delivers quality content – their secret weapon? Extremely well-known speakers. In 2019, for example, the list of speakers included none other than Jaime Levy. Levy is a well known leader, author, professor and all-around boss in the UX game. Aside from Levy sharing some wisdom (which is more than enough reason to attend the conference without all the other bonuses), you can expect leaders from companies such as Google, Amazon, Airbnb and PwC Digital. Topics range from how to adopt Scrum for UX design teams to voice product strategy. Price: $1495 for full-ride. Purchase tickets here. This particular UI/UX conference is shorter than most of its American counterparts, lasting only one day – but it’s still not something you want to miss. 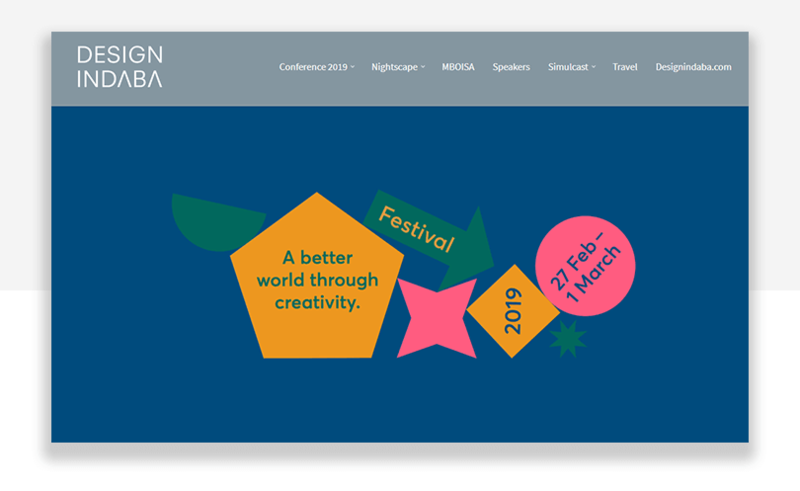 The UX conference follows a specific theme that changes with every year – for 2019, the theme is Designers and Marketing. That makes for a nice load of information for many designers who work within large organizations, freelance designers or just any curious designer. Topics discussed by speakers focus mainly on how design and marketing are similar in their ways, and how they can help each other achieve better results. Speakers come from big players such as Booking.com, Lego, Virgin Atlantic and Condé Nast. Price: £299 (+VAT) – approximately $385 (+ VAT). Group tickets also available here. UX Insight is all about UX research. The conference lasts for one day, although you also have the opportunity to participate in workshops that take place the day before the UX conference. Attendees will be able to learn about innovative and interesting ways to carry out research, to put the resulting data to good use and reflecting the research findings on your design. Keynote speakers are UX researchers from large tech companies like Google and Spotify, along with several freelance designers and academics. Price: €600 – approximately $680 for entrance, find tickets here. UX Lisbon is brought to you by Xperienz, a big name in Portugal’s UX scene. The event lasts for 4 days, and touches 3 key aspects of UX design: research, strategy and design. Attendees can enjoy talks delivered by speakers from companies like Shopify, JP Morgan Chase, Ernst & Young – aside from several workshops that should provide plenty of practical learning. Price: €1395 – approximately $1940 for full-ride. More available options here. One of the biggest UX events in Europe, the World Usability Congress couldn’t be left out of this list. This UX conference covers key areas of UX design such as strategy, software development, artificial intelligence, motion design and robotics. Should be more than enough for UX designers everywhere to learn some new tricks and participate in the debates of the industry! Speakers are from tech pioneers such as SAP, Uber, Google or Alibaba. In total, more than 30 talks are celebrated in the two days of the conference. You can find their complete schedule here. Price: €690 – approximately $780. More available options here. UX Copenhagen lasts for 2 days in the Danish capital, and tends to focus on current trends and now innovative ideas in the UX sector. 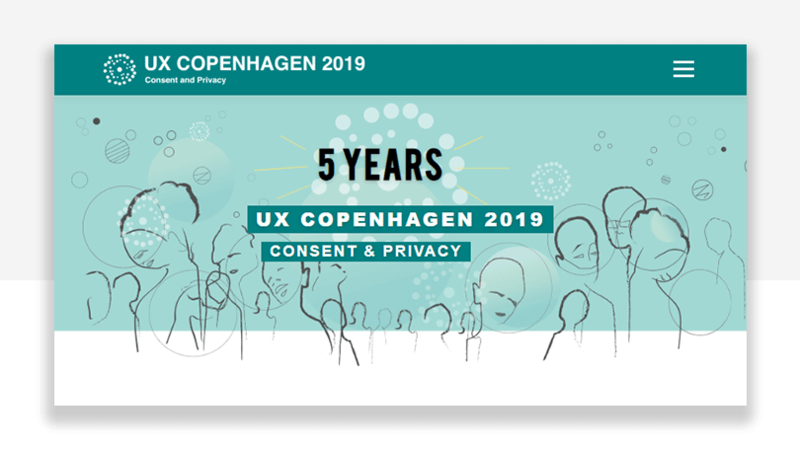 In 2019, the UI/UX conference will be focusing on a central debate that stretches beyond UX and affects the whole tech industry: privacy and consent. The event will look into how concepts such as transparency, ethics and diversity affect UX design and how they affect the very way designers work. Talk about a cool topic! Price: DKK 8000 – approximately $1215 for conference and workshops. See more available options on the official website. 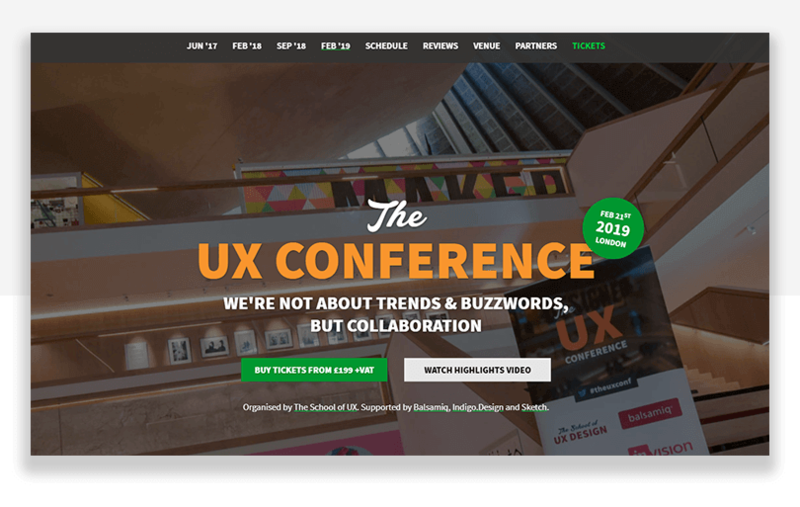 This UX conference covers extensive topics from UX research to the connection between UX design and business administration. 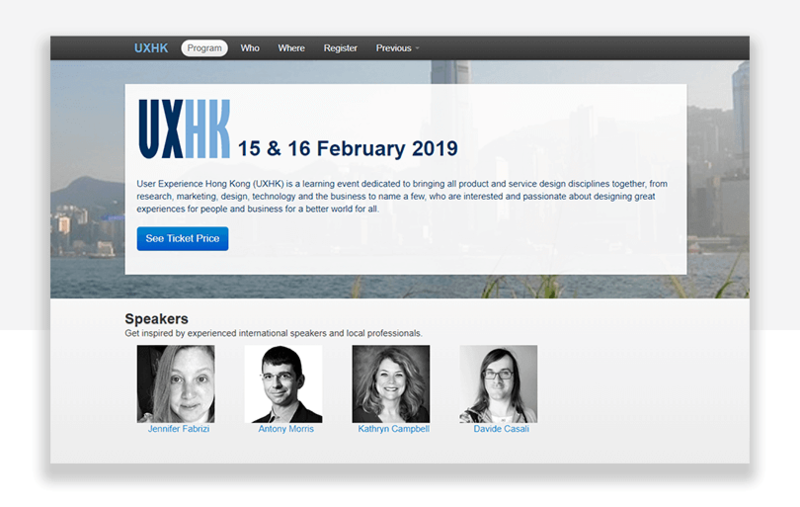 Speakers at UX Hong Kong are highly experienced designers that will definitely keep attendees interested. 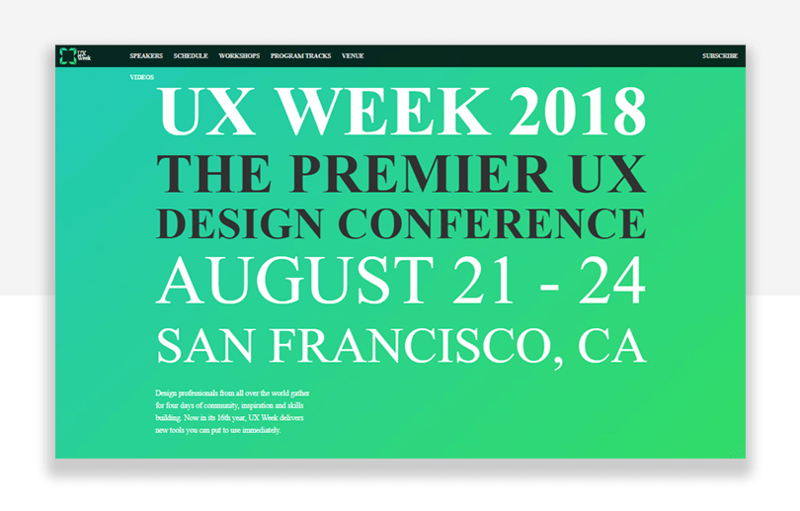 This UX conference has had a spectacular run in recent years, with the 2018 edition being filled with talks and workshops that focused on brushing up top skills for designers as well as engage in the discussion of classic UX issues such as designing artificial intelligence, ethical design or how to create and manage UX teams. 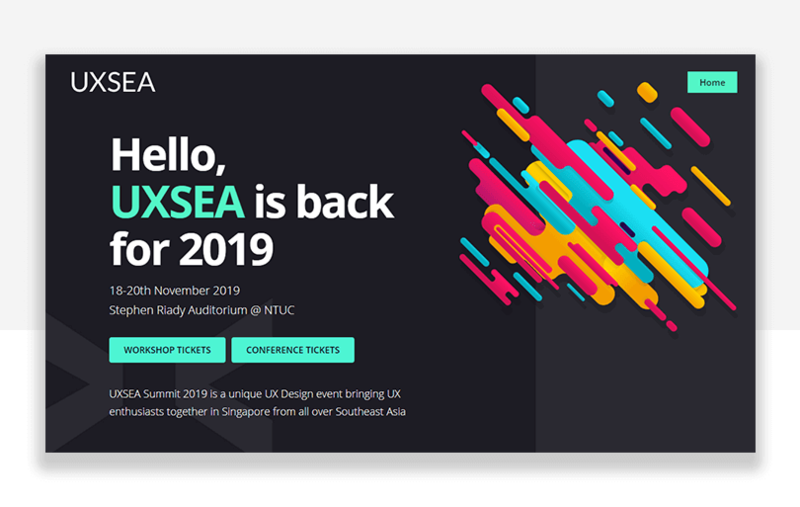 While there is still much to be announced regarding the 2019 UXSEA, we feel like we couldn’t leave it out of this list! Price: $86 – $147. Find more information here. This is a tech-lover’s dream conference. 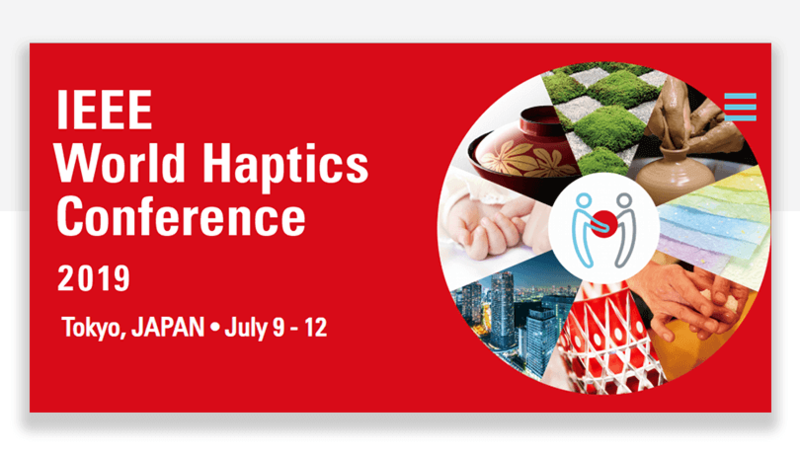 IEEE places the spotlight on all things related to haptics – going from basic scientific findings to complex algorithms and their applications. 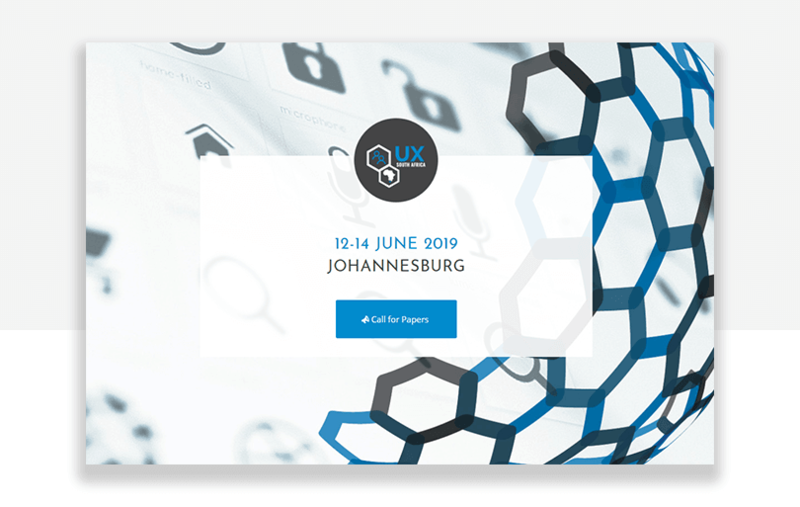 The organizers behind the UX conference aim to encourage advances in the industry as a whole by fomenting networking and collaboration. Pretty awesome! Price: TBA. Find more info on the official website. As you can probably guess, this UX conference focuses to all the different aspects of UX research and how it affects UX design as a whole. 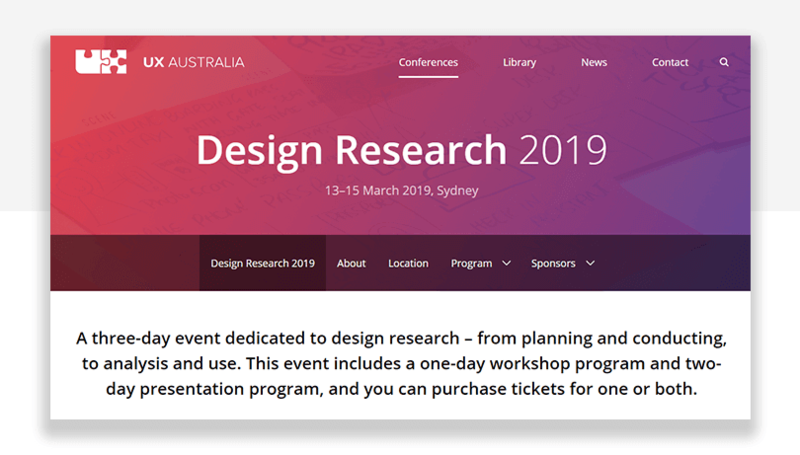 Talks and workshops in Design Research 2019 cover everything from finding the right people to be a part of your research team to different methods that render different results. Price: $350 – $750. Find all available options here. UX New Zealand is Aotearoa’s largest UX conference and it shouldn’t be missed! The event prides itself in placing experienced and seasoned professionals into contact with novices and young designers – fomenting debates and innovation through collaboration. The event counts with one day of workshops for practical learning and 2 days of talks. Pixel Up! approaches classic topics such as interface design, content writing, UX research and so on. Among the speakers you’ll find product managers, UX and UI designers, UX writers and researchers – known and experienced leaders and authors. 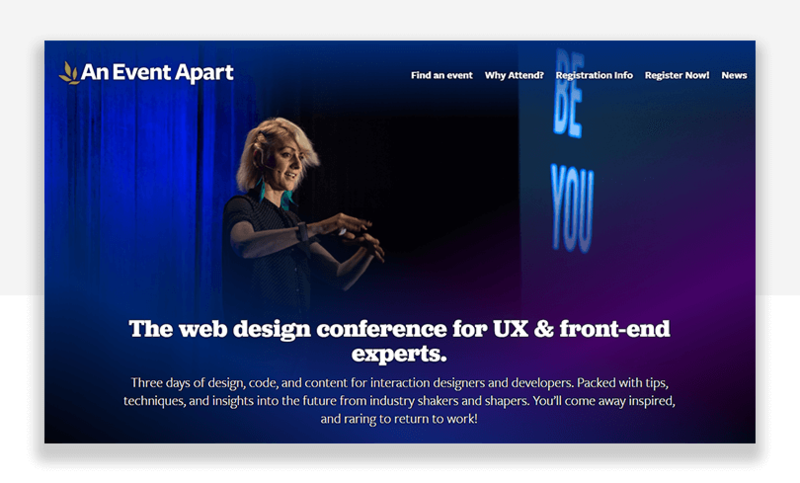 This UX conference, like some others on this list also adopts a theme with every new year. 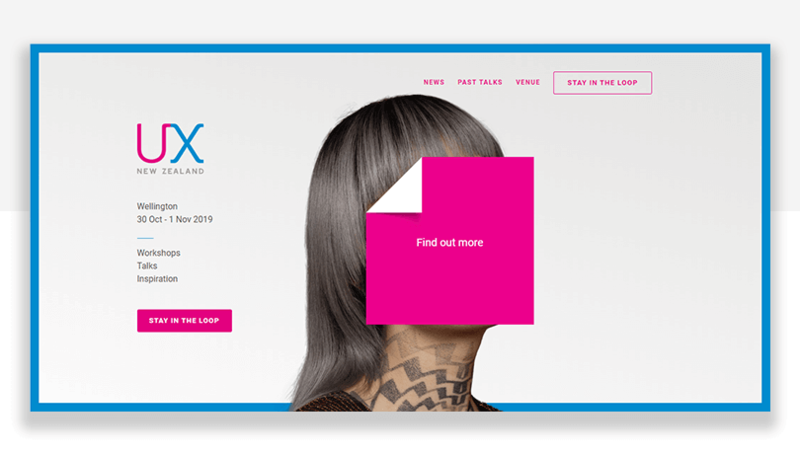 In 2019, the main theme is centered on going beyond just trying to please users – and how UX designers can create products that become a way of life to people. In UX South Africa, it’s all about intuitive design and simplicity in the face of complex products. Challenging, but exciting, ain’t it? Design Indaba covers all things design-related. You’ll find not only authors or designers there but also performers, founders of innovative companies and other formidable leaders. Aside from the educational aspect of the conference, you’ll also find yourself immersed in music, dance, and theater. Price: R8715 – approximately $640 for full-ride. See other options on the official website. This UX conference makes waves in Brazil, and tends to include keynote speakers from different parts of the world. UX design is king here, without talks escaping onto other fields such as general art or business administration like other user experience conferences on this list. UX conference BR seems like an interesting 2 days! Price: R$589 – approximately $160 for individual ticket. See other options here. 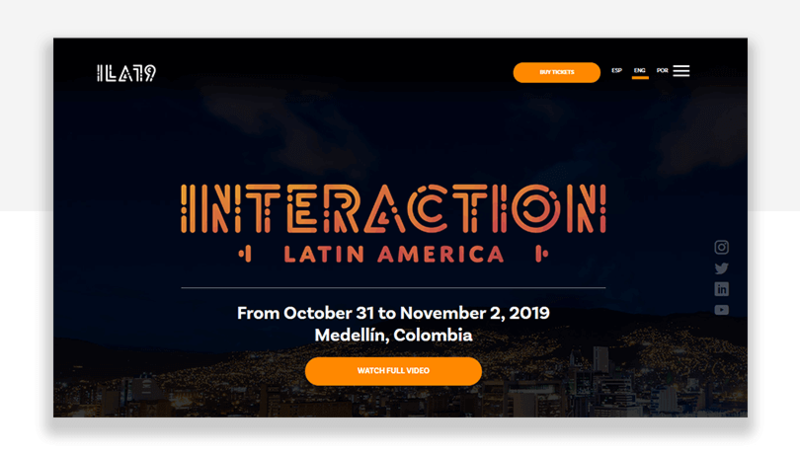 Likely the Latin continent’s largest UX conference: Interaction Latin America is a great opportunity for UX designers from everywhere. Among the key speakers you have big names like Nick Finck, who’s worked in leadership positions at tech giants (Facebook, Amazon, and Deloitte just to name a few). Price: $350 regular entrance. Purchase tickets on official website. UX conferences aren’t just a great opportunity to get informed about trends in the sector or getting to see incredible leaders share their experiences. These events are perfect for getting to know other designers who share your passion for good usability and even better UX design. Regardless of where you live, you’re bound to have some user experience conferences or gatherings near you – we recommend you keep an eye out for the chance to attend! It should be a fun and informative experience.